Straw yellow with golden highlights. 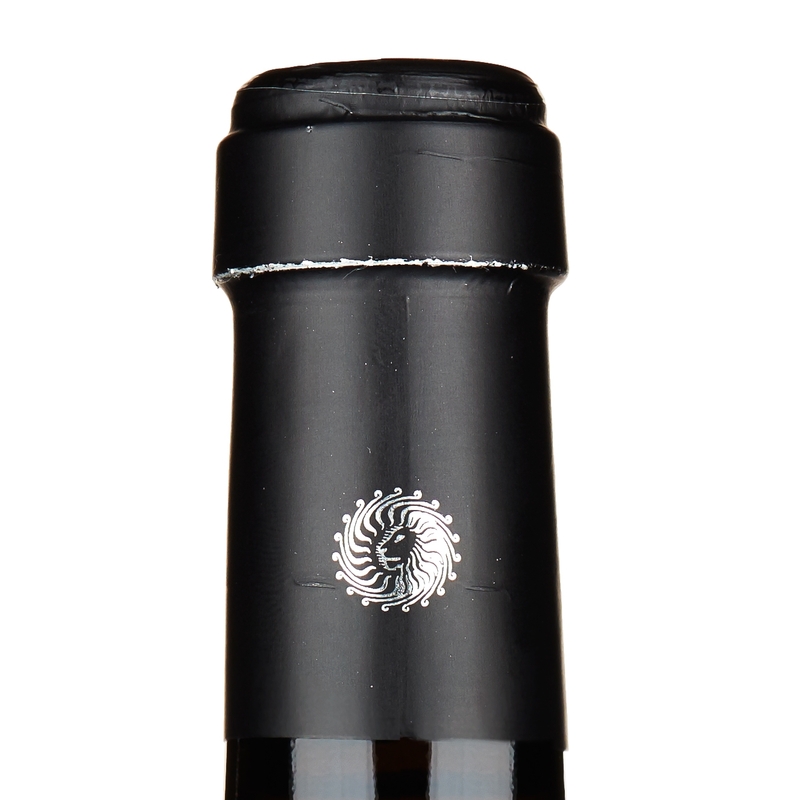 In the nose it expresses a bouquet of rare complexity, scents of candied citrus fruits and pineapple open up to notes of vanilla, cinnamon and sweet spices. Warm scents of flowers in spirit precede a rich, smooth palate which is particularly long and vibrant. 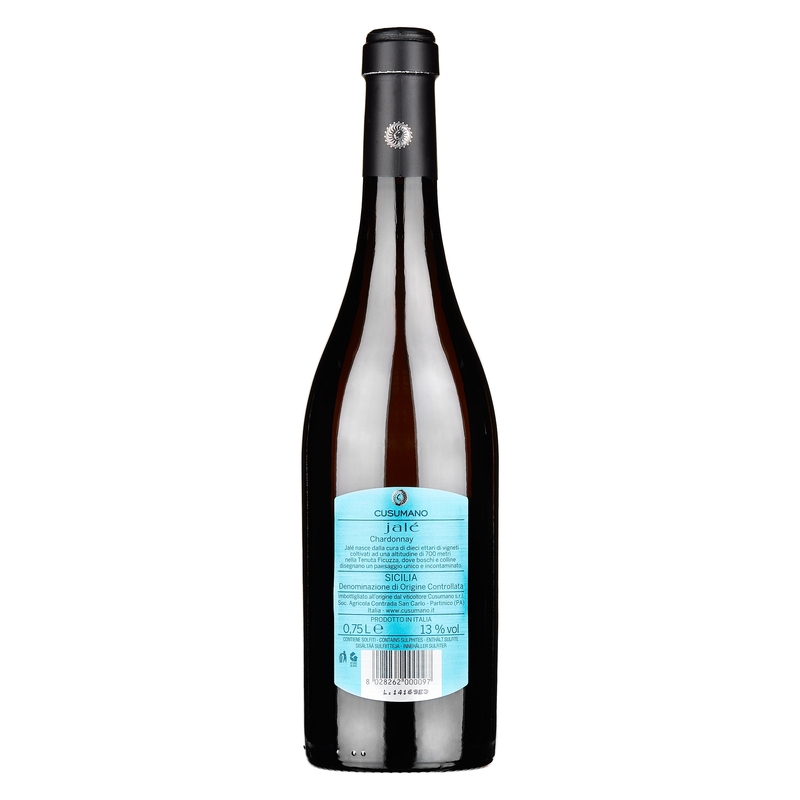 Ideal with all courses of a meal, it pairs well with rich fish dishes. Also excellent with lasagne, including vegetarian versions. 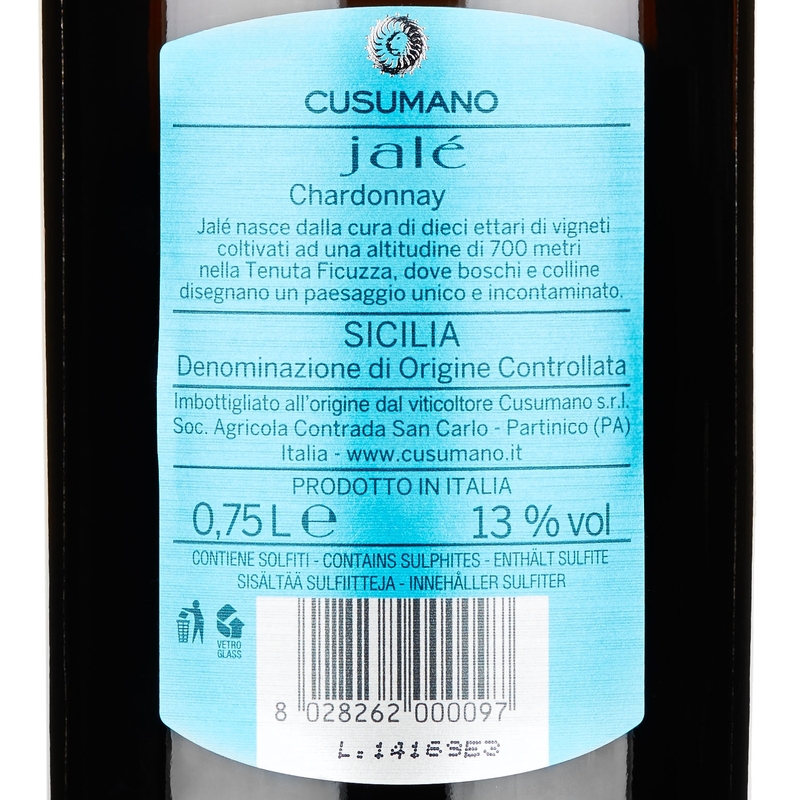 It is with the range dedicated to the wines of its territory that Cusumano succeeds in expressing the best of Sicily and its thousand different nuances. Intense and vibrant wines, always fine and accompanies by that complexity that only the best vineyards are able to offer. 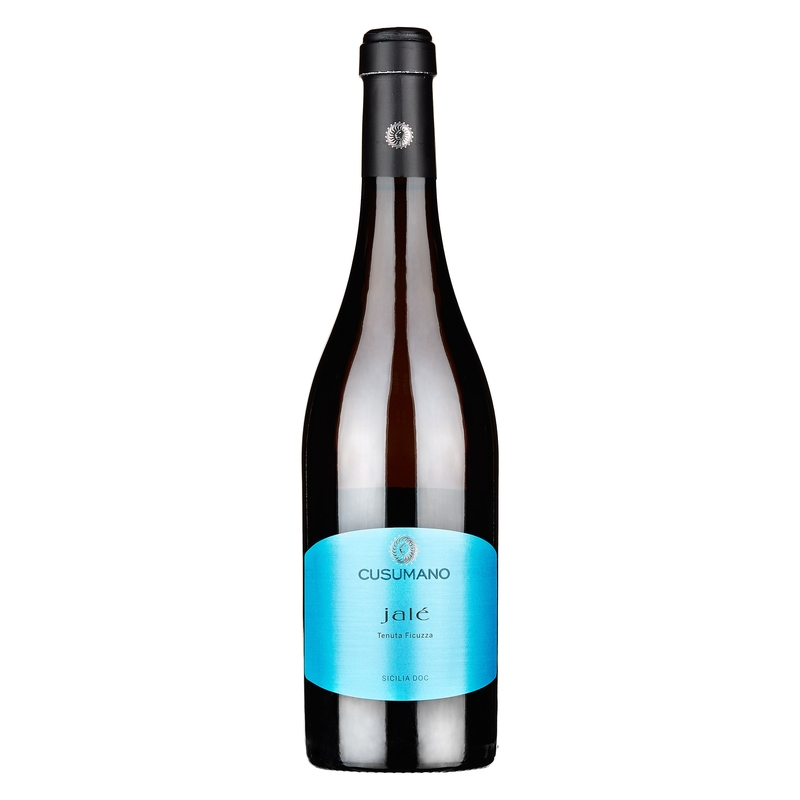 Sicilia Bianco DOC “Jalé” 2012 by Cusumano is born at Tenuta di Ficuzza, not far from Palermo, froma meticulous selection of the finest Chardonnay, a grape variety which has found an ideal habitat in this part of Sicily for ripening to perfection. Vinified and left to age in barriques for a few months, it is a wine that stands out in the glass for smoothness and depth. 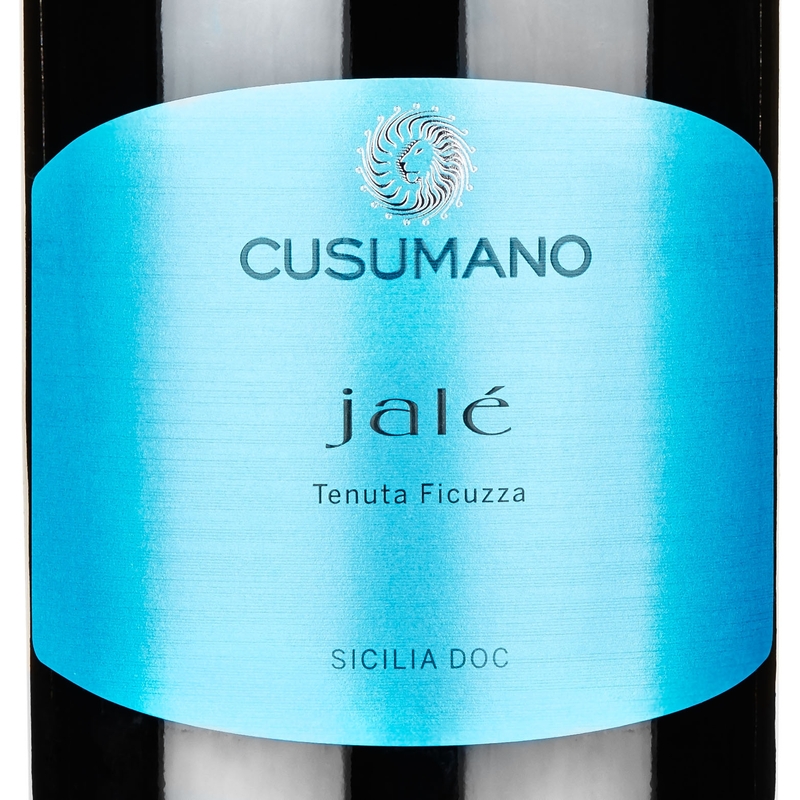 Sicilia Bianco DOC “Jalé” 2012 is a suave and charming white, already perfectly balanced, yet capable of reserving great surprises after many years, if stored properly in the cellar.